Below are a few population graphs. One is where there is an unlimited supply and no predator to hamper the critters population. 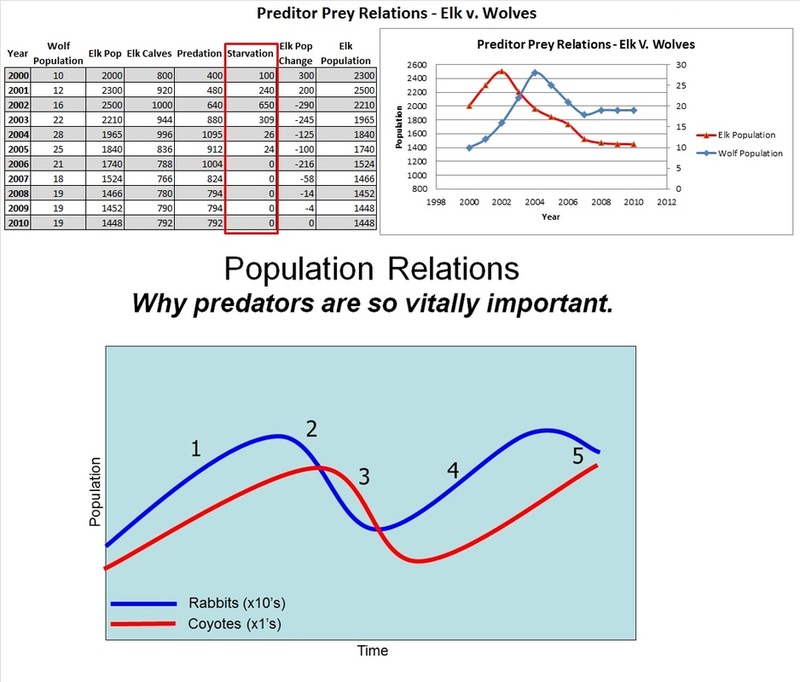 Another is a Predator / Prey graph, and last is a limiting factor. 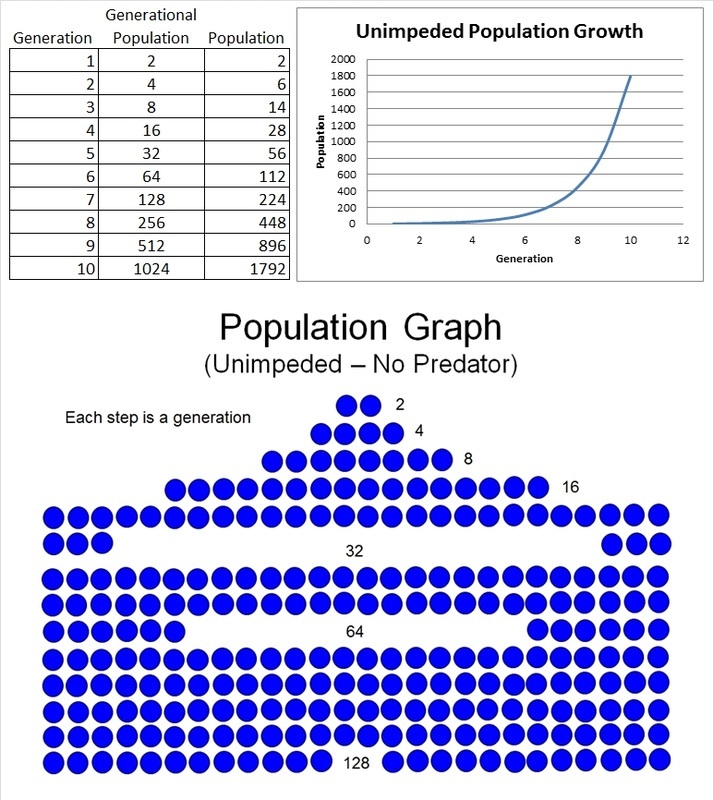 When a population is unimpeded, or nothing stands in the way of allowing the population of the species to grow; meaning, it has no predators and an ample supply of food, space, shelter etc., then the population can grow exponentially. This chart is assuming that we only double every generation, with older generations dying off naturally. 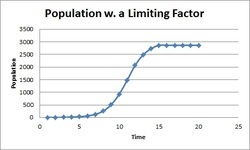 Generational population is determined by how many offspring any species can produce during reproduction. Predators are vitally important to an ecosystem. As noted before, without them, the elk were dying through starvation because they were over consuming what the environment could produce. 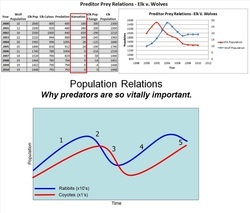 as the population of the prey increase, so does the population of the predator. As the population size of the predator increases, it puts a strain on the population size of the prey, thus reducing it. As the population of the prey is reduced, the population of the predator also decreases - through starvation. As the population of the predator decreases, it puts less stress on the prey population and it starts to increase again. It repeats - thus keeping balance. When a critter depends on certain factors within an environment - such as food, space, shelter etc., but the environment only has a limited supply of it, then the size of that critters population can get affected. For instance, back to the cattle in the 10 acre field - that field can only carry so many cattle. After it reaches that point - several events take place - namely, starvation & overgrazing. Thus the population can no longer grow beyond the capacity of that environment. Humans are critters too, and we need a place to stay and food to eat too. 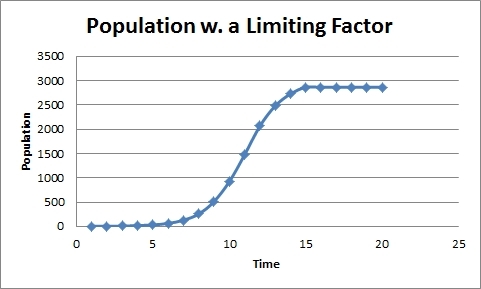 Many may consider the human population growth controversial topic - and that depends on your point of view. But listed below are just one of several impacts humans have on the environment. 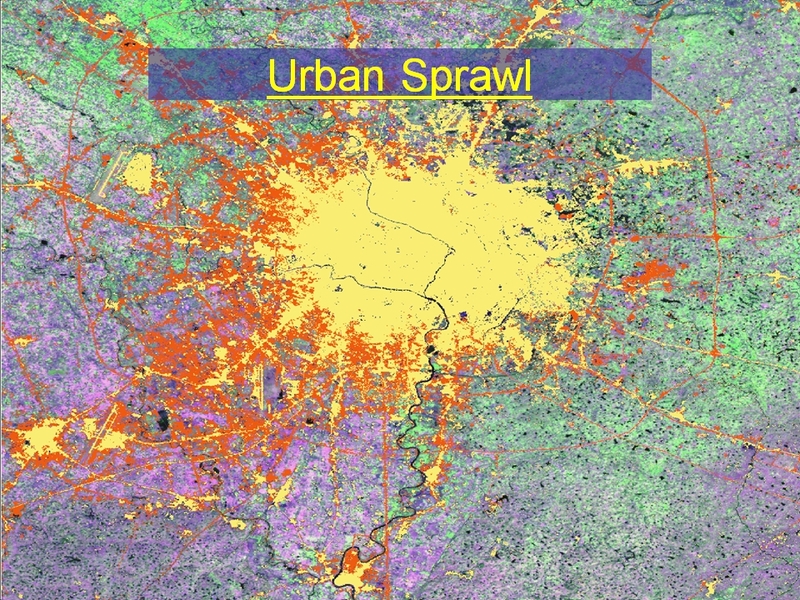 –Literally translates into City & spread out. 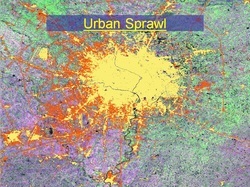 –When our population grows, we generally start off as a small cluster and start to branch out and take up more space. When that happens we consume more space used to farm which makes food for us and we simultaneously take up habitats of other critters.